It’s week two of our FANTASTIC BEASTS: THE CRIMES OF GRINDELWALD series. This week I’m sharing some spider Halloween luminaries with you. In Harry Potter and the Chamber of Secrets, Ron is deathly afraid of spiders! These Halloween luminaries would be on Ron’s list of things to avoid! Life, Family, Joy is sharing chocolate frogs and lunch box notes. They Call Me T has a fun popcorn mix for you to make! 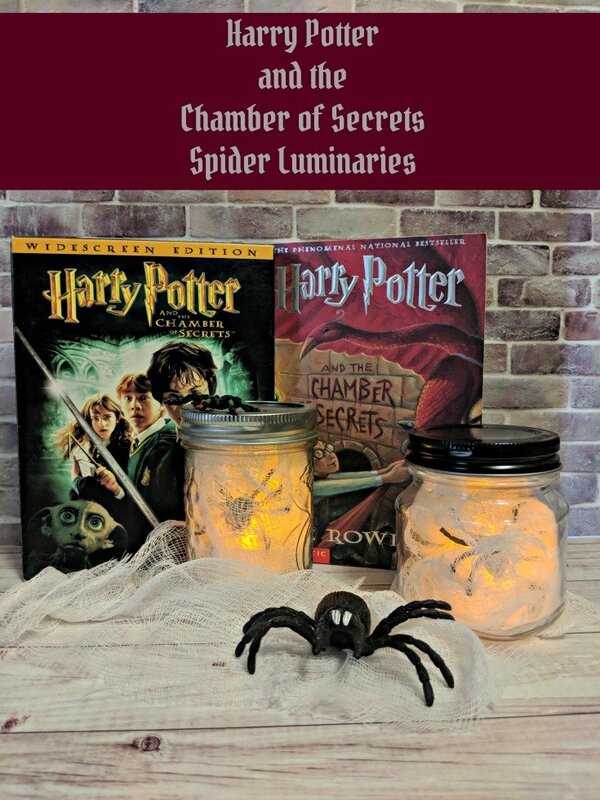 These spider Halloween luminaries are really easy to make. You’ll need some jars with lids (you can use all the same size or different sizes), cheesecloth, plastic spiders and flickering tea lights. First, separate the cheesecloth and cut it into strips. Drape it around the inside of your jar, so it looks like spider webs. You want to be able to see the spider’s silhouette, not the spider itself. Next, place the tea light in the bottom of the jar. Pull the cheesecloth back up around the sides of the jar if it gets pushed down. Finally, add the spider, so it’s hanging in the cheesecloth on the side of the jar. 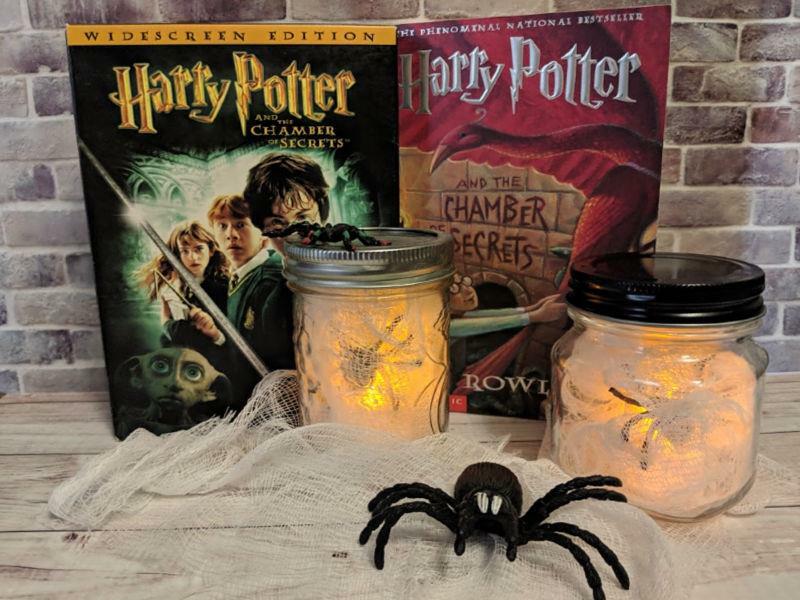 Put the lid on, turn out the lights, and you’ve got a spider Halloween luminary that is sure to scare Ron Weasley! Did you get my list of movies to watch before FANTASTIC BEASTS: THE CRIMES OF GRINDELWALD? Go get it now! Be sure to watch Harry Potter and The Chamber of Secrets this week to get ready for FANTASTIC BEASTS: THE CRIMES OF GRINDELWALD.